If the gutters and downspouts on your Middletown, Ohio, home need to be replaced, let the professionals at 31-W Insulation help you. We are a family-owned and –operated company that has been fulfilling the home improvement wishes of residents throughout the Southeast since 1972. Our A+ rating from the Better Business Bureau testifies to our track-record of providing customers superior products and first-rate customer service. We proudly stand behind our gutter installation service because all our services are performed by our trained employees only, ensuring that every installation we perform reflects our industry-leading standards. 31-W Insulation installs gutters and downspouts made by Spectra Metals, one of the industry’s most esteemed manufacturers. Because these gutters lack seams that can split, which can then lead to leaks, these systems offer longer-lasting functionality than traditional gutters. A lack of seams also reduces the risk of clogging, since seams tend to trap debris. So, with our gutters on your Middletown, OH, home, any worries you have about rainwater spilling over into your yard and seeping into your home’s foundation, can be put to rest. Our top-notch installation standards remain the same no matter what color you choose or how large your home: We will cut your gutters to the exact measurements of your roof to ensure a precise fit that will significantly minimize the chance of leaking. 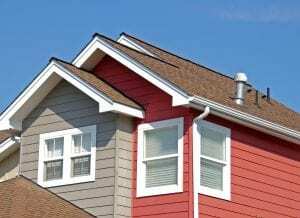 When you’re ready for gutters and downspouts that you can trust will protect your home year after year, contact 31-W Insulation, the home improvement experts of choice in Middletown, OH.